Normally I would have posted a full body shot but they didn't turn out as great as I had hoped so detail shots will do. It's all about the details anyway. Lately I've been feeling like my style is changing a little bit, or more like I'm finding other things I really like and wish to incorporate more like color. It's not showing recently since I've gravitated towards dark colored outfits (like usual), but I'm definitely feeling the change. Baby steps guys, baby steps. 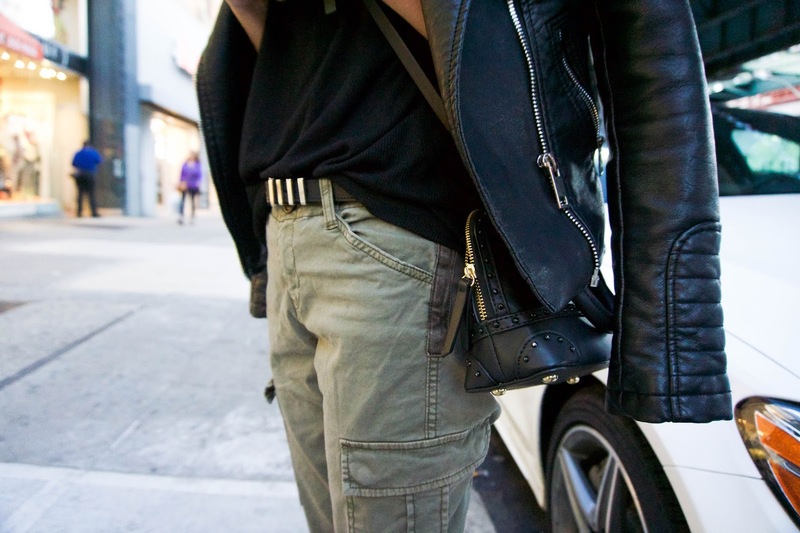 Although this entire outfit is pretty much black, a pair of army green pants can help give it a pop. 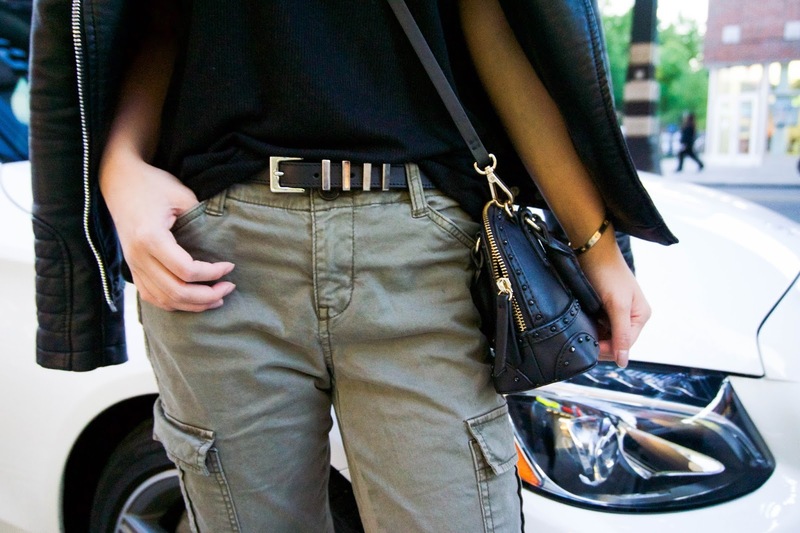 I've been really into army green and camel colors recently so you'll probably see me wear more of those this season!